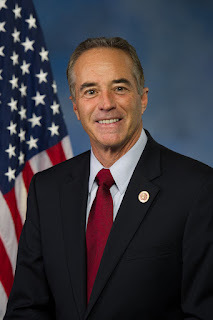 WASHINGTON, D.C. -- Congressman Chris Collins (NY-27) today announced that the U.S. Department of Transportation (DOT) has allocated millions of dollars in funding to improve the Greater Rochester International Airport, Canandaigua Airport, Buffalo Niagara International Airport, and Niagara Falls International Airport. The improvements will ensure the longevity of the airports' infrastructure. "Our region's airports play a considerable role in our daily lives, whether it is moving cargo or people we have to make sure they are functional and safe," said Collins. "Not only do our airports get us from one place to another, they support millions of jobs across the nation and keep America competitive. The airport infrastructure grants will provide these airports with the ability to make improvements that could ultimately increase air-traffic."